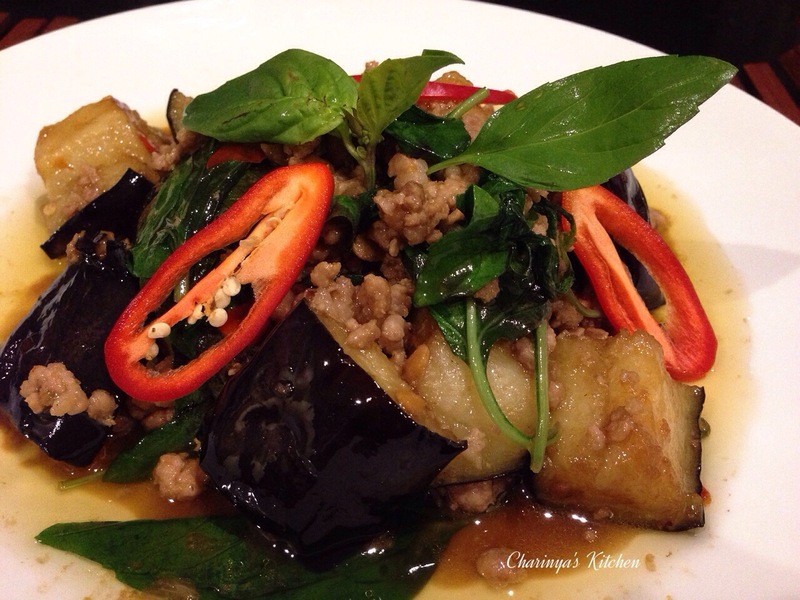 In Thailand we use the long green eggplant to cook this dish but here in Australia the long green eggplant is only available in Asian grocery shops and the cost is quite high. 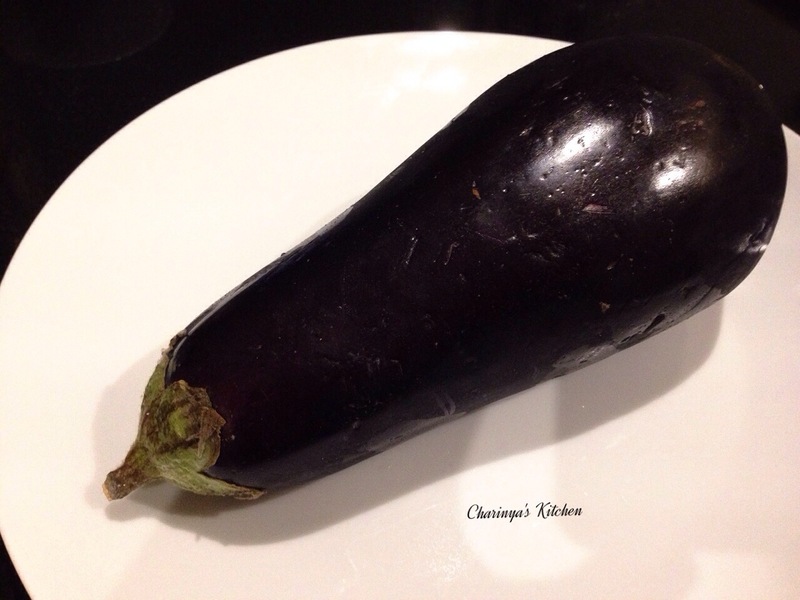 I substitute it with purple eggplant which in any supermarket or fresh food market. 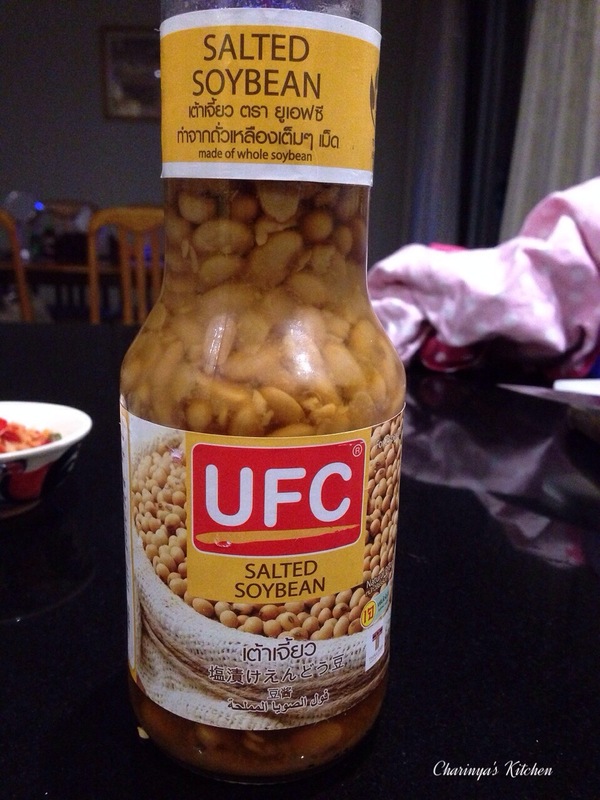 The price is lower and the taste is just as good as the authentic one. 1. Pound garlic and chilli together. 2. Mix all the sauce ingredients in the small bowl. 3. 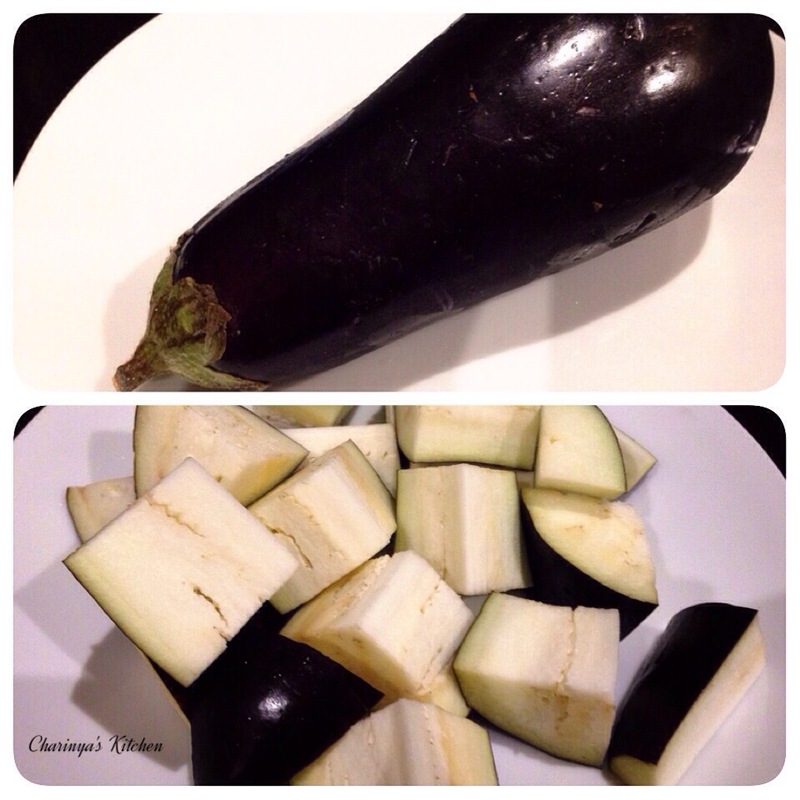 Cut the eggplant lengthwise into quarters, then chop across the quarters to make big chunks ~3 cm. 4. 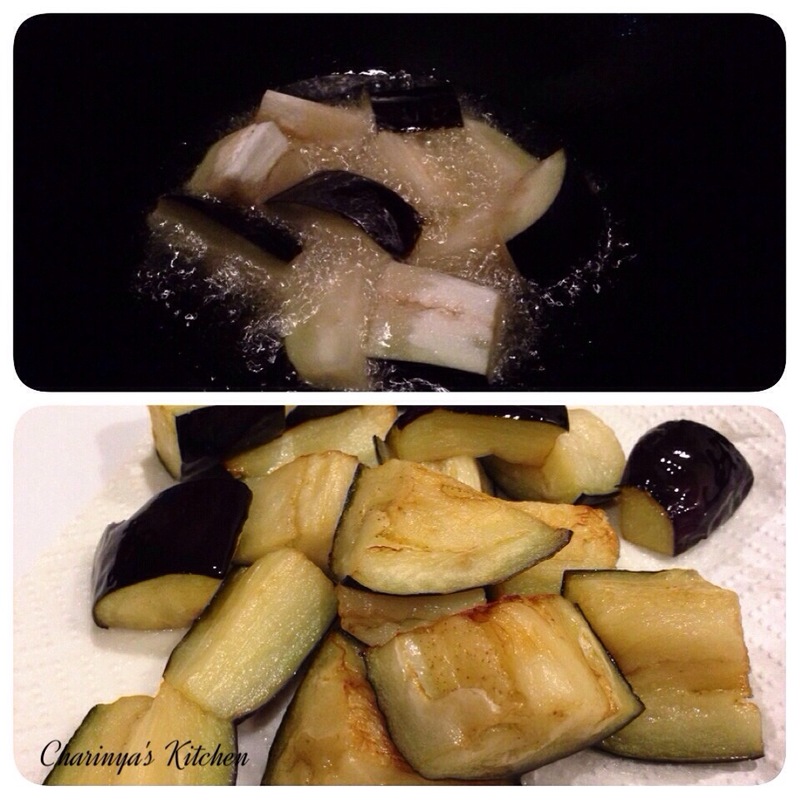 Heat the work with oil and fry the eggplant in 2 batches in the hot oil for 2-3 mins until soft. Set aside. 5. Remove the oil from the wok leaving just a tablespoon of oil in the wok and return to the heat. 6. Add the chilli garlic mix and fry for a few minutes until fragrant. 7. Add pork mince and stir until half cooked. 8. 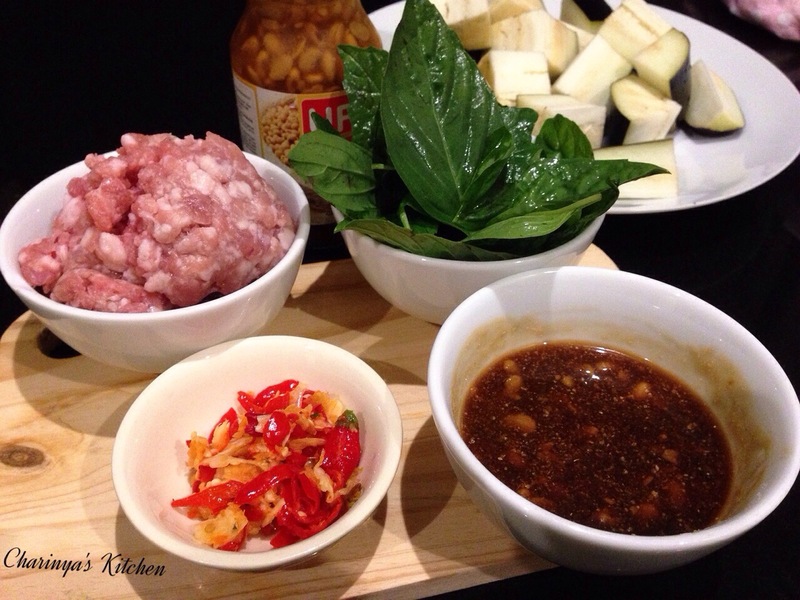 Add sauce mix and stir into the pork mince. Wait until the pork is cooked. If it is too dry add a little bit of water. 9. 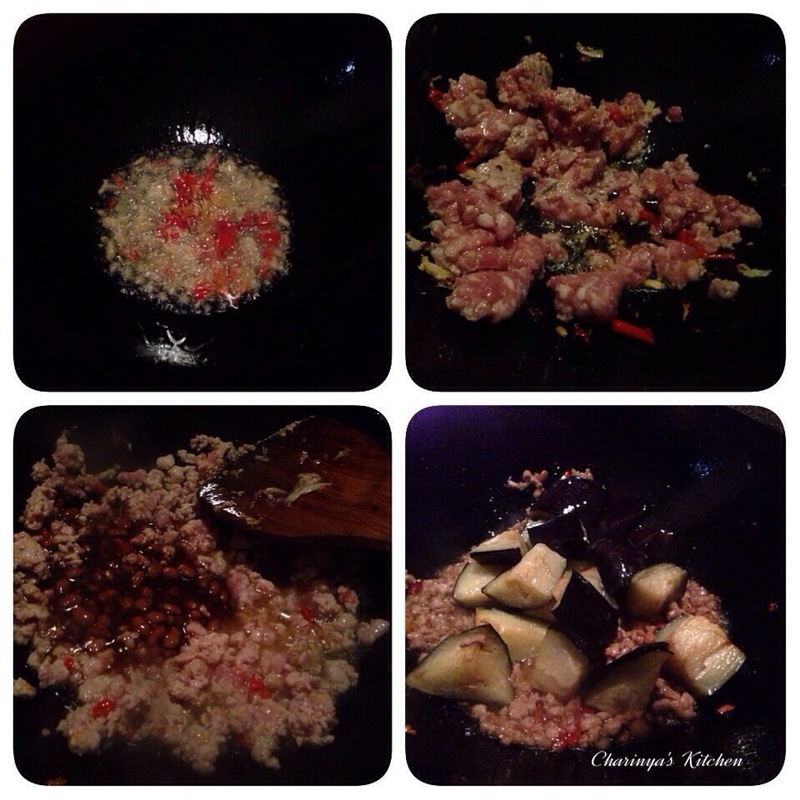 Add fried eggplant to the wok and gently mix with the sauce and pork. 10. Add Thai basil leaf and turn off the heat. 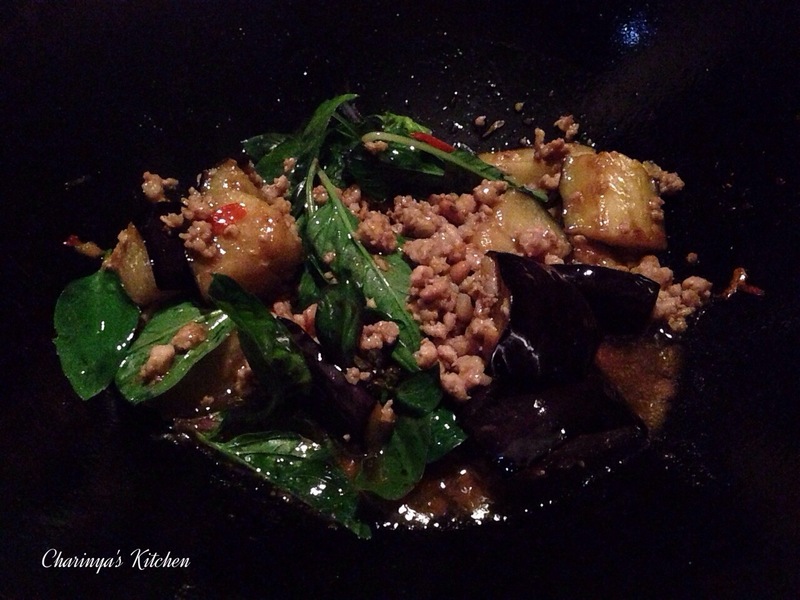 The Thai basil does not need much time to cook, just gently mix together in the wok while the wok is still hot. Serve on a plate topped with extra fresh basil and sliced red chilli. 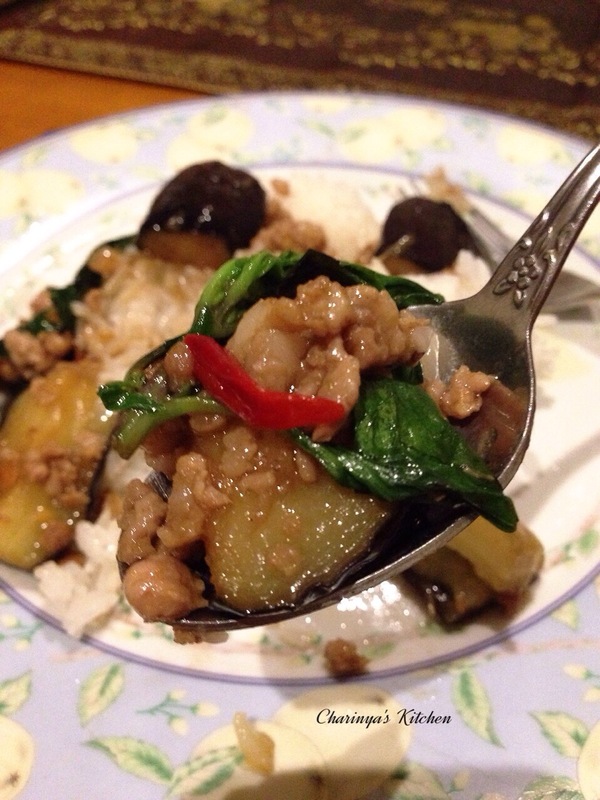 Enjoy with jasmine rice.